A trip to Scranton, PA, might have you feeling thirsty for a nice coffee, espresso, or cup of tea. 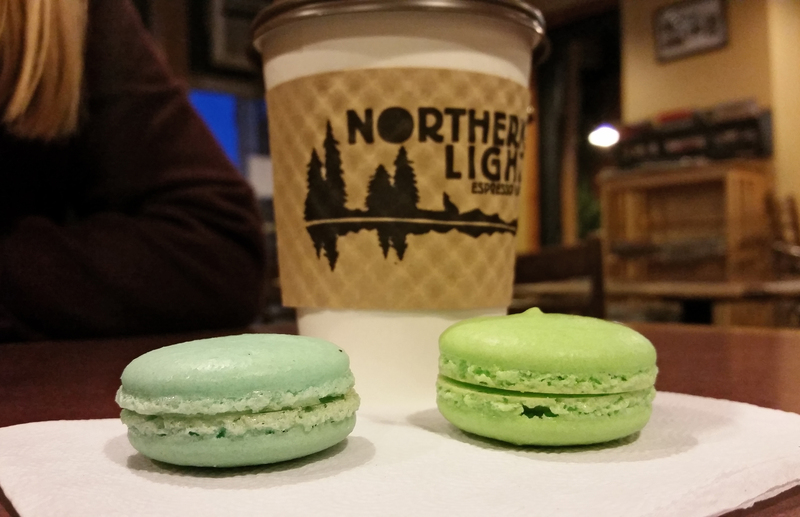 Northern Light Espresso Bar has you covered– not only with drinks, but macaroons! The final sweet sandwich of March has a hard outer shell, but a soft, creamy, sweet inside. We all know someone like a macaroon, so why not take that person out for a cup of coffee? In the meantime, enjoy these delectable sandwichy treats as your eye finds its way to the pastel palette of Springtime, which these just happen to match. It’s going to be a good few months ahead!